Hello, thank you for taking some time out of your busy day to get to know us. I’m Oakville Chiropractor, Dr. John Zeni owner and creator of In-Line Family Chiropractic. My team and I are pleased to welcome you to our office, a community of people striving for optimal health and enjoyment in life. Over the past decade we have been providing the Oakville community with the gentlest, safest, and highest quality chiropractic care available. After working alongside thousands of patients, I have realized one important fact. Without health, nothing else matters! Tour our website; take some time to visit our patient testimonial section, sign up for our email newsletter and learn how our gentle, safe and effective techniques can help you move out of pain and into a better quality of life. Life is about living! Why not live up to your full potential. 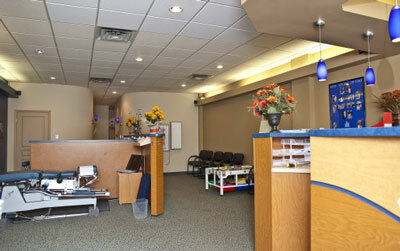 Call our Oakville practice today to reserve your Free Health Consultation. Remember to always Live Well – Live IN-LINE!